Sacramento Region, CA (MPG) - SMUD and top national homebuilder D.R. Horton are teaming up to build 104 all-electric homes in two new neighborhoods. 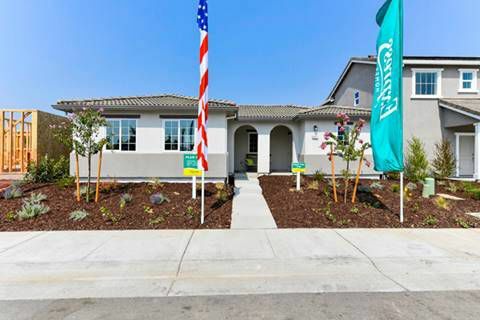 These “all-electric communities” – “Juniper,” which is planned to include 66 homes, and “Independence," which is anticipated to include 38 homes, are both located in North Natomas and will be priced for first-time homebuyers. The homes are included in the SMUD Smart Home program and are part of a broader electrification effort by SMUD, the first of its kind in the USA. Groundbreaking for the subdivisions began earlier this summer. The model homes are completed, and the communities are open for sale. Construction will continue through 2019. If built as planned, SMUD will provide $466,000 in incentives to D.R. Horton for including appliances and equipment to make the homes all-electric. These include heat pump heating and cooling, heat pump water heating, and induction stoves—appliances that are typically more energy efficient and can deliver lower overall energy bills. Heat pump water heaters can reduce electricity use by up to 60 percent compared to electric resistance water heaters. Instead of using electricity to create heat, heat pump water heaters use a refrigerant cycle to transfer heat from surrounding ambient air into the hot water tank. They also cool the area where they are located, usually in the garage. Induction stoves may cook 50 percent faster than electric resistance stoves, and often as fast as gas. They also use less energy than traditional electric stoves and offer digital control of the temperature, and they have no open flame. The absence of combustion in all-electric homes may result in greater occupant safety. These homes will help community-owned SMUD meet its aggressive commitment to reach 90 percent reduction in greenhouse gas emissions by 2050 and surpass the state’s greenhouse gas reduction goals of 80 percent by 2050. These D.R. Horton homes are part of the SMUD Smart Home program, which offers incentives to builders and developers of up to $5,000 for new single-family homes, and up to $1,750 for new multifamily units, built to be all-electric. The homes must have all-electric appliances and mechanical systems—no gas line in the home, and no gas service at the property—in order to meet the minimum program participation requirements. SMUD customers who own existing homes in the SMUD service territory can also qualify for up to $13,750 for existing homes that convert from gas to electricity. For example, owners of existing homes may receive up to a $4,500 incentive to replace an existing gas furnace by installing an electric heat pump space heater. A homeowner may receive up to a $3,000 rebate to switch out an existing gas water heater for an electric heat pump water heater. There are also rebates available from SMUD for traditional efficiency measures such as duct sealing, insulation, and windows. More information about SMUD’s all-electric conversion incentives and other energy-saving information is available at SMUD.org. Mayor Christopher Cabaldon outlined the City of West Sacramento Kids’ Home Run last night during his annual state of the city address, with the goal of making West Sacramento the best place to have a child, raise a family and grow up as a kid. A child reaches first base under Kids’ Home Run by enrolling in Universal Preschools for West Sacramento’s (UP4WS). Under UP4WS, each student will be connected to high-quality preschool education. 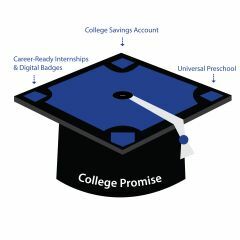 Once a student graduates from a UP4WS preschool and enters kindergarten within the Washington Unified School District, he or she reaches second base, which provides access to a guaranteed college savings account of $50, with the goal of a match for a family deposit. Third base gives access for West Sacramento high school students to paid internships in a relevant industry sector or job-type if they are enrolled in an integrated college and career pathway. Finally, a student reaches home plate when he or she graduates from high school in West Sacramento and directly enrolls full-time for up to one year in a program of study at one of the Sacramento City College's three campuses. Tuition is fee free. Access to a scholarship of up to $1,000 will launch at a later date. Students will be motivated in this process by the ability to earn digital badges, or virtual credentials that track their skills development. Student completion of badges will unlock new opportunities for them, such as preferential hiring for internships, and help determine how large of a scholarship each student receives. The initiative begins in the summer of 2017 and is funded by a quarter percent sales tax revenue from ballot Measure E passed by 65% of West Sacramento voters in November, 2016. The measure helps fund potential areas of investment: repairing roads, building and maintaining bicycle/pedestrian trails, reducing homelessness and improving educational and career opportunities for youth, and enhancing internet access and use of smart technologies. The West Sacramento Kids’ Home Run is being implemented in partnership with the Washington Unified School District, FutureReady, a project of the West Sacramento Community Foundation, the West Sacramento Chamber of Commerce and the Los Rios Community College District. Under a resolution adopted by City Council last night, West Sacramento is voicing its support for Sutter Health’s Getting to Zero campaign, a regional effort to end chronic homelessness by aligning programs and resources around a low-or-no barrier approach to housing individuals experiencing homelessness. Working with public and private partners in Placer, Sacramento and Yolo counties, Sutter Health will match up to $10 million in contributions and work to raise a total of $20 million over three years to support a low-or-no barrier model that provides the chronically homeless with housing, and then quickly offers the support services they need to achieve and maintain stability. The goal of the Getting to Zero effort is to reach Functional Zero – when the number of homeless people is equal to, or less than, the number of permanent housing units available to them – in Placer, Sacramento and Yolo counties. The West Sacramento City Council vote is consistent with recent actions taken by nearby jurisdictions. 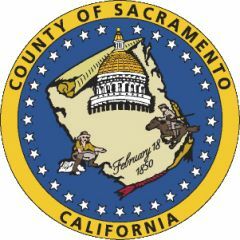 The Placer County Board of Supervisors, Yolo County Board of Supervisors, Davis City Council, Roseville City Council, Sacramento City Council, and Woodland City Council also have adopted resolutions in support of Getting to Zero. Sutter Health has long been committed to investing in programs that improve the health of the communities it serves. In addition to Getting to Zero, the organization funds community-based services, mobile clinics, transportation services, prevention and wellness programs and more. In 2015, Sutter Health’s network of physician organizations, hospitals and other health care providers made a total community benefit investment of $957 million. Through the Getting to Zero campaign, Sutter Health has funded four matching grants to support low-or-no barrier responses to homelessness in the City of Davis ($233,000), City of Roseville ($250,000), City of Sacramento ($433,000), and Placer County ($1 million). The City of West Sacramento and Yolo County are each developing proposals to receive Getting to Zero matching grants. Advanced Home Health, Inc. today announced it has earned The Joint Commission’s Gold Seal of Approval® for Home Care Accreditation by demonstrating continuous compliance with its performance standards. The Gold Seal of Approval® is a symbol of quality that reflects an organization’s commitment to providing safe and effective care. Advanced Home Health, Inc. underwent a rigorous onsite survey. During the survey, compliance with home care standards reflecting key organization areas was evaluated, including the provision of care, treatment and services, emergency management, human resources, individual rights and responsibilities, and leadership. The accreditation process also provided Advanced Home Health, inc. with education and guidance to help staff continue to improve its home care program’s performance. Established in 1988, The Joint Commission’s Home Care Accreditation Program supports the efforts of its accredited organizations to help deliver safe, high quality care and services. More than 6,000 home care programs currently maintain accreditation, awarded for a three-year period, from The Joint Commission. The Joint Commission’s home care standards are developed in consultation with health care experts, home care providers and researchers, as well as industry experts, purchasers and consumers. The standards are informed by scientific literature and expert consensus to help organizations measure, assess and improve performance. One Sacramento-based company has quietly and efficiently carved a niche into the home health care business by providing superlative care for patients and caregivers alike. 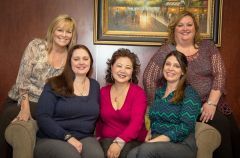 The “whole-istic” business model of Advanced Home Health and Hospice (AHHH) has earned them not only professional accolades and a thriving business, but a stellar reputation for their positive results for even the most complex patient care. The beating heart of this organization is founder Angela Sehr. 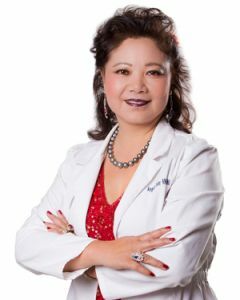 Sehr is a woman with a mission and a vision with patient wellbeing in the Sacramento area. Born in Xian, China, home of the famous Terra Cotta Warriors, Sehr started college at 15 and became a nurse at 18. The youngest of nine children, her siblings are also high achievers with a judge, college professor, engineer and a teacher among her immediate family. Shyly self-admitted as a teacher’s pet, she loved science from a very young age. She says her mother encouraged her children to all be independent. “Marry well, she said, but always be able to stand on your own two feet,” was her mom’s advice. Sehr may now be the boss, but she is far from being afraid to roll up her sleeves when it comes to patient care. She paid her dues with years in hands-on nursing. In fact, she still takes care of patients herself, in addition to her many other duties. AHHH offers patients around the clock care, just one of the many aspects that separate them from their competition. “I go out to patients’ homes at 2 in the morning if they need it, just like everyone else on staff,” said Sehr. Sehr is a Registered Nurse who has worked around the world with patients of all ages and many different health issues. She came to Sacramento, having worked in places like China and Saudi Arabia. She attended Sacramento State’s Nursing program and earned her BSN here, spending over a decade in pediatric care and found her way into Infusion care as a nurse for patients in need of this specialized help. She has built her company on years of caring for infusion patients. Her company carries her compassion forward, providing top-notch, compassionate care for patients and their families. During a time when healthcare laws and models are in flux. Sehr’s company, AHHH has built a company that successfully and efficiently treats and maintains a base of anywhere from 600 to 800 patients, more than double similar programs of even healthcare giants like full-fledged local hospital systems. To meet the need AHHH has found, the company currently has a staff of approximately 400 highly-trained specialists performing an impressive array of care and support services, and specializes in “complex” patients, often avoiding such patients having to be readmitted to hospitals. AHHH is as advertised. Staff is on-call 365 days a year, 24 hours a day. They provide truly advanced wound care, infusion nursing, orthopedic, occupation and physical rehabilitation, speech and swallow function therapy, specialized medical social workers and a chaplaincy ministering to the patients and their loved ones. The tiniest staff member is a therapy dog. AHHH is a Medicare Certified Home Health Provider. They are licensed by the by the California Department of Public Health. They have provided care for premature babies, pre-and post op patients, patients such as diabetics with wounds that can be nearly impossible to heal. Many of these are patients the hospitals have given up on and AHHH has succeeded where others have failed, improving patient outcome in terms of health and healing. Sehr is intent that her teams utilize the latest technology to treat patients and makes available ultrasound and laser therapy, in addition to debridement if physician ordered. The Low-Level Laser Therapy (LLLT) alone, per Sehr can be highly effective in treating, diabetic ulcers, venous stasis and arterial ulcers, and many other types of non-healing wounds. A vital part of their team are the hospice social workers who are there to support patients and their families. “Our social workers are trained to assist our patients and their families on developing an individualized plan of care, researching ways to relief stress and anxiety by non-medical means, and connecting them with appropriate local resources. “We understand that our patients and their families may have financial problems. Our social workers are equipped with the necessary tools and knowledge to provide counseling in these areas, as well as coordinating possible aid from other organizations,” Sehr commented. What does it mean to be an advanced hospice social worker? According to AHHH, “It means to be a supporter of our patients and their families. Our social workers are trained to assist our patients and their families on developing an individualized plan of care, researching ways to relief stress and anxiety by non-medical means, and connecting them with appropriate local resources. AHHH truly treat the entire family, and that includes monthly bereavement support group meeting. “At Advanced Hospice, patients are nearing and passing the end of their life, leaving behind husbands, wives, sons, and daughters,” according to the company website. AHHH measures its success with data, not just good feelings. Their clinicians log every visit in detail, right down to wound and physical improvement, modality effectiveness, length of visit and many more details. That data is analyzed for the benefit of each patient, but the accumulation of data is used by the company to improve patient outcome and patient satisfaction. The company has recently broken ground on its next project, a free-standing Hospice Facility. While starting small, at 6 beds, it will be the only hospice in the area and unlike any other, due again to Sehr’s experience and personal touch. As part of the agreement, SSF will provide monthly reports of the number of persons sheltered per night, including the breakdown of men, women and families served and their geographic origination. The data will be utilized to determine potential areas of focus for future funding opportunities. Sacramento Steps Forward coordinates the shelter, transportation to and from the shelter sites, and meals with, as well as outreach and referral efforts for ongoing supportive services. Currently, congregations have been lined up to provide services for every night except 52. Sac Steps Forward and its subcontractor, First Step Communities (FSC), are working to recruit congregations to fill out the list, including those that can accommodate pets, and two congregations to serve as intake sites for persons who are unable to travel to the main intake site of Loaves and Fishes. In recruiting these additional intake sites, SSF and FSC are utilizing data to determine where the highest populations of homeless exist outside of the immediate geography of Loaves and Fishes. The County is also providing $75,000 to Volunteers of America (VOA) for the period of November 21 through March 31, 2017 for the administration of the Winter Shelter Program for homeless families. Offered since 2011, this program has provided shelter to 876 adults and children since its inception. The homeless are the invisible denizens of America's cities, says Dan Weber, president of the Association of Mature American Citizens. “But, the dirty little secret that has only come to light recently is the fact that the elderly are among the fastest growing populations living on the streets,” he reports. The Department of Housing and Urban Development told Congress last year that there were more than 300,000 homeless Americans 50 years of age or more, 20% more than there were in 2007. A recognized expert on the issue of the growing number of older individuals who are on the streets is University of Pennsylvania Professor Dennis P. Culhane. He says that in 1990 “the peak age of adults who were homeless was 30” and that today the peak age is 55. Some would blame the spike in homelessness among older Americans on the swiftly aging population. But, Weber says, it has more to do with the rising cost of health care and health insurance, the lagging economy, the impact of such diseases of old age as cancer and Alzheimer’s and, perhaps the most damaging cause of all, the lack of affordable housing. “In fact, talk to any health provider who deals with the homeless and they will tell you that there has been a dramatic shift in recent years in the illnesses from which they suffer. 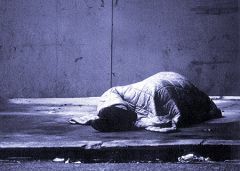 It used to be that the homeless suffered mainly from drug abuse and mental illness. Nowadays they are more likely to have the chronic diseases of old age,” Weber notes. The Association of Mature American Citizens [www.amac.us] is a vibrant, vital senior advocacy organization that takes its marching orders from its members. We act and speak on their behalf, protecting their interests and offering a practical insight on how to best solve the problems they face today. Live long and make a difference by joining us today at www.amac.us/join-amac.